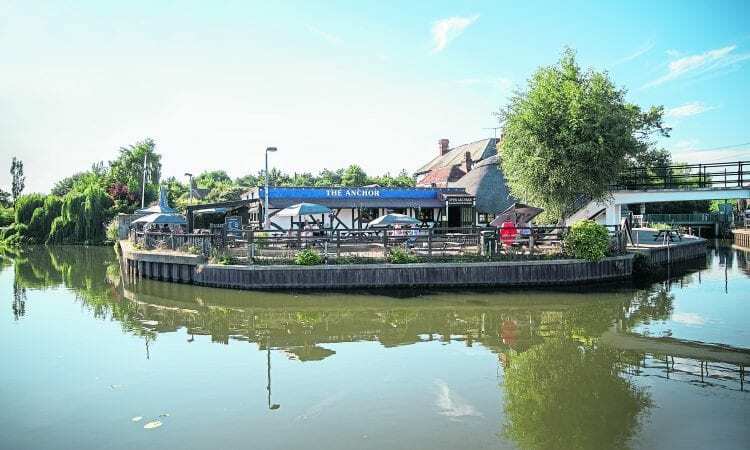 YALDING riverside pub The Anchor is reopening as The Boathouse following a £1.2 million refurbishment. The Shepherd Neame pub is situated on the River Medway, a few minutes from the village of Yalding near Maidstone. It is being renamed The Boathouse to reflect its riverside location, and the redevelopment of the pub has also been designed to make the most of its unique setting. A new glass-fronted restaurant is to be created offering views overlooking the river. A new raised exterior terrace is also being built, leading on to a large decked area, to allow al fresco dining. An extensive internal and external refurbishment will be undertaken, with new lighting and furniture, and nautically themed décor throughout. refitted, and the pub will offer a delicious new menu of traditional pub classics with a contemporary twist, using locally sourced ingredients wherever possible. The Boathouse will serve food from noon to 9pm daily, and also offer brunch from 9am on Saturday and Sunday. The extensive programme of work started at the beginning of January, and the pub is expected to open with its new look and new name at the end of April.